Mobile application always attracts smart phone lovers. Now a day’s people are crazy about mobile apps. Here are so many types of mobile apps like business apps, utility apps, notification apps and gaming apps. Genuine battery booster apps are different from the above mentioned apps as it powered your entire android mobile operating system. If there are so many apps running at the same time on your Android mobile operating system it may work slowly or high battery consumption can make your mobile turned off. How do the problems start? Problems start when android base devices are not maintained regularly as required. If the internal storage is full or about to be full then it can become problematic for your phone as the battery decrease so rapidly. On the other hand problem incurred when there are too many apps are running in the back ground it can also consume the battery so quickly. 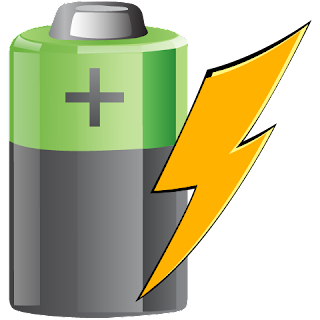 To boost up the speed of Android device here are ten Genuine battery booster apps. Each of them has different specification and very popular supporting apps for Android device. This app consists of Cache cleaner, History cleaner and default cleaner. It can clear the cache automatically and clear the history search by web browser and the default setting can also be lists by it. It consists of three screens first is called monitor that shows battery, CPU, and memory status. The second page is process manager. The third page is tools page. This device is easy to use as it offers so many tools. It analyzes all your apps and list out either it can be moved to your SD card or not. All of the appropriate apps can be moved to micro SD card automatically by using this app. It can regulate CPU speed, data and connections and helps in saving the battery life of android device. It helps in running and installation of the apps. This app helps in reduce battery drain by regulating your data connections and by syncing schedule, screen settings and other device components. This is not a performance boosting app in genuine.it replace the typical launcher of Android that works more swiftly. It automatically chooses the app to kill that is not necessary for the system just like Android assistant. As there are so many apps running on your device this app move some of the application to SD card automatically and it helps in creating a lot of space on your phone. In order to increase the SD card file transfer rate this app is used to increase the default cache size of the SD card. It has an option to automatically reset every time you start up your device. This app helps in boosting up the quality of volume. It can be manually activated or set it automatically. Where Will Android Show Up Next? I am David, working with a software testing company offering mobile app testing. It is always attractive for me to write for mobile apps.